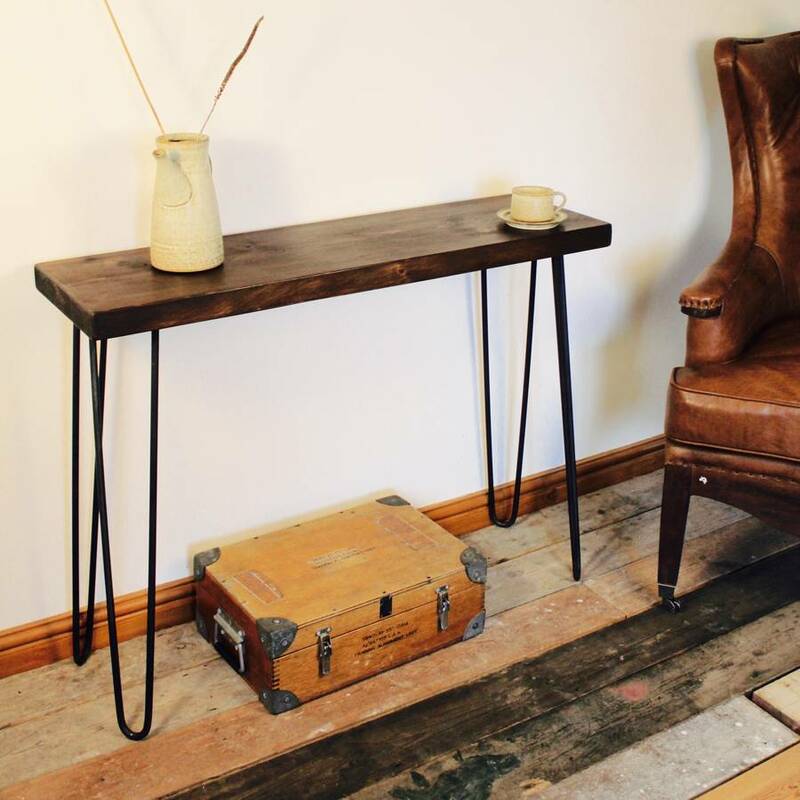 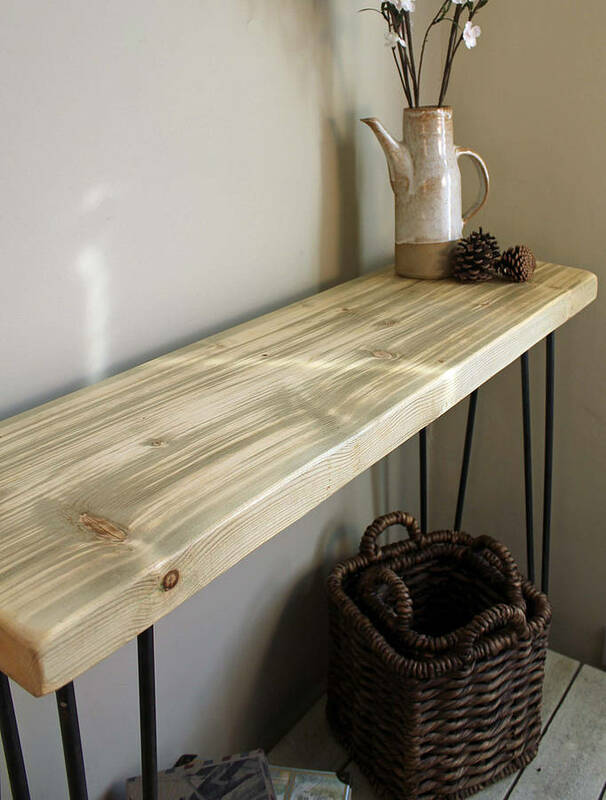 Handmade in a rustic white wood with steel legs to give you that industrial feel. 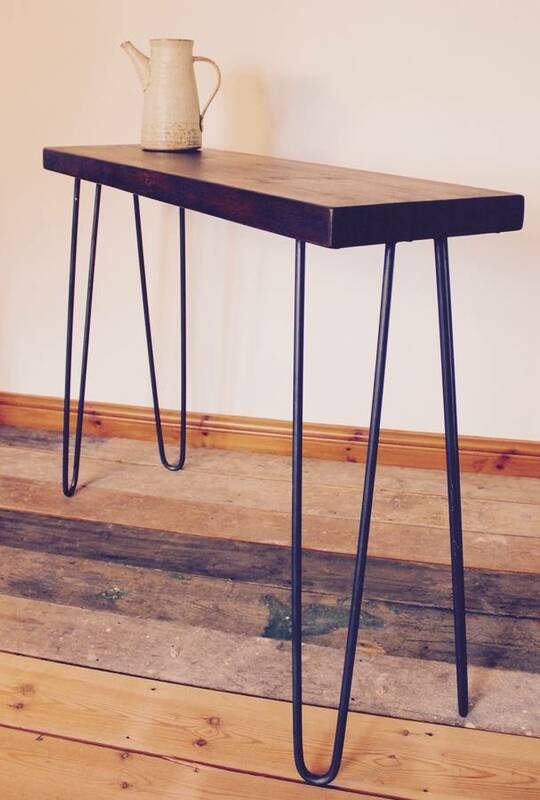 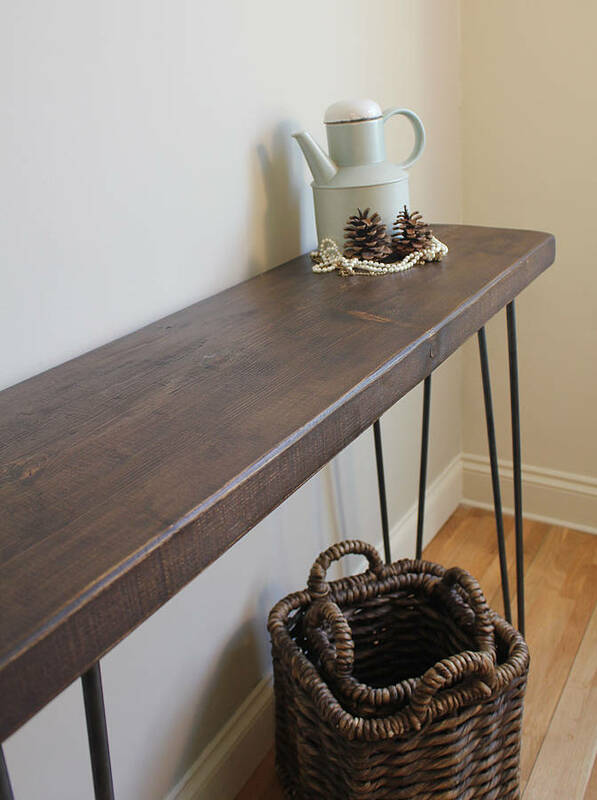 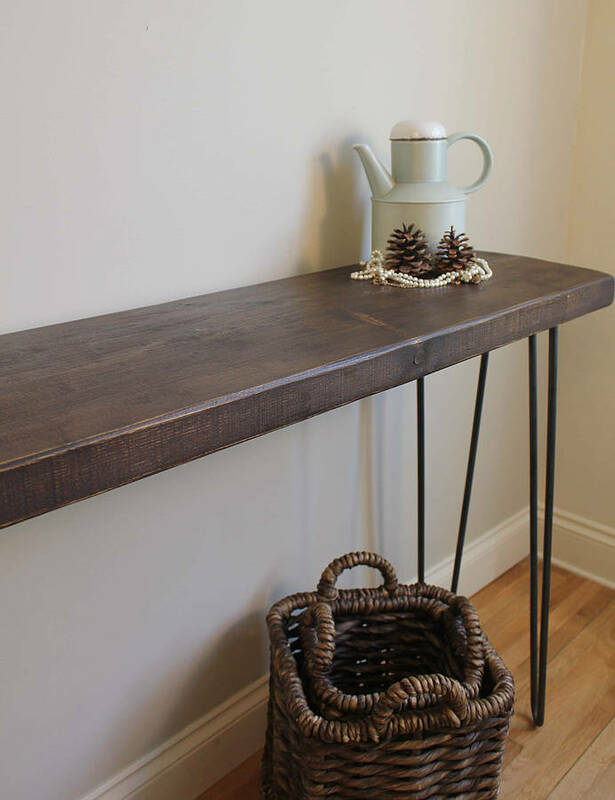 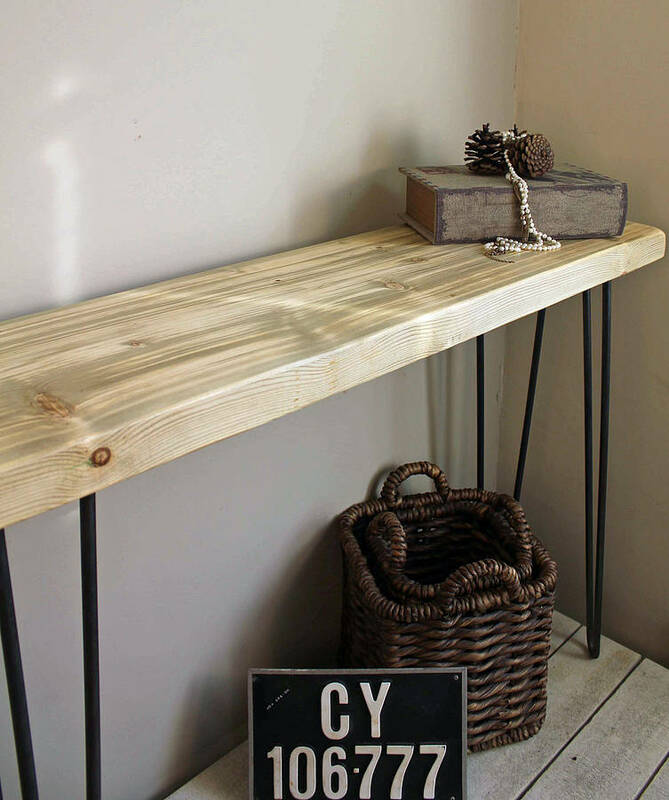 Our console table is available in three different sizes or we can custom make any size according to your specification. 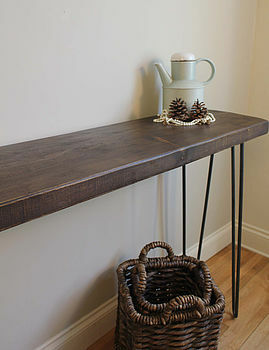 Available in two wood finishes, dark oak and natural. 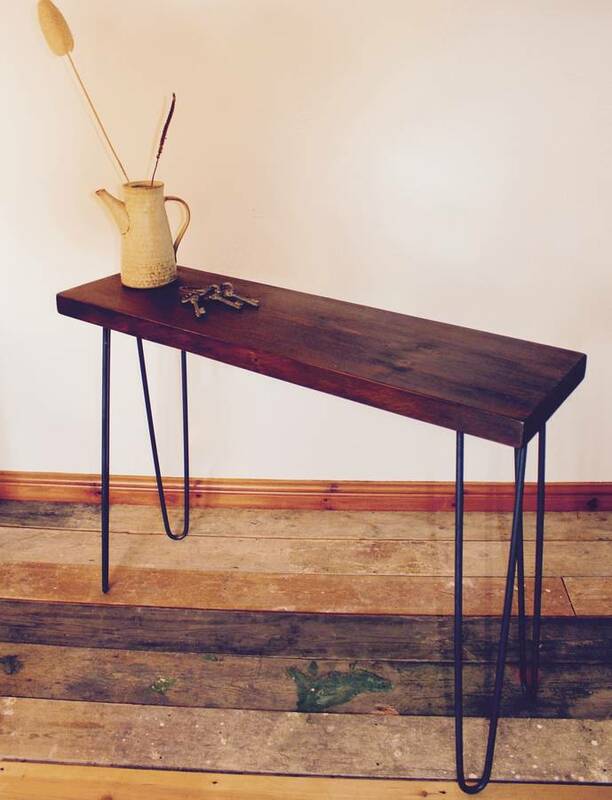 Our tables are lovingly made to order and will arrive fully assembled.